Telzio enables you to automate call forwarding to remote teams on their mobile devices. With the Telzio mobile app, workers can make and receive calls and text messages from any location. In this article, you’ll learn how to set up a call forwarding system to route incoming calls to your field agents. Telzio is an internet-based phone service, which means that you’ll need internet connectivity to use the mobile app. You can add automatic call forwarding to mobile numbers as backup in case your employees do not have internet connectivity. You can have multiple simultaneous calls going on a single Telzio number, which means all of your employees can be on a call at the same time without callers encountering a busy signal. Throughout this guide we’ll use some terms that you should familiarize yourself with before you get started. A Call Flow refers to the arrangement of features you can add and configure to automate your inbound calls. A User is a sub-account of your phone system that enables your employees to log into devices and the Telzio website. 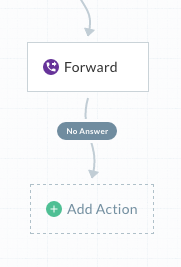 Actions are the features and instructions that make up your Call Flow. Call Forwarding is an Action in the Call Flow containing settings on how calls are routed to employees and groups. With Call Forwarding, you can route calls to a long list of users or groups on their Telzio app, IP phone, or non-Telzio number. The amount of time a call should attempt to ring a User until moving onto the next User or Action. In order to utilize Telzio features and set up a forwarding system, you’ll need to have a Telzio phone number. After you set up an account and payment information with Telzio, you can proceed to get a phone number. You can purchase a new phone number from Telzio, or port an existing phone number from your current provider to Telzio. Before you set up call forwarding to your employees, you’ll need to create Users for them on your Telzio account. Users enable your employees to log into the app and the website to manage their own calls, messages, and call recordings. Learn more about creating users. Once you have Users created on your system, you can proceed to build a Call Flow. Navigate to the Call Flows page on your account. Give your Call Flow a unique name that you can use to identify it later. Give the Call Flow a unique 1 to 4 digit extension. You can dial this extension from your Telzio connected device to reach your field agents. Internal calling to other extensions is included as part of your Telzio service and will not count towards your usage. Notice your new Call Flow name and extension. Now that you have a Call Flow to work from, you can start configuring your Call Forwarding details. 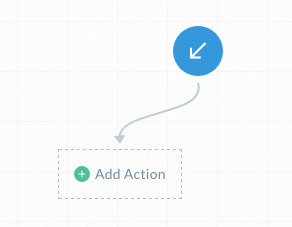 In the Call Flow view, click Add Action to insert the first step. The arrow represents an incoming call. Select Forward Call to open and edit its settings. Choose a Call Distribution pattern. Call All – Rings everyone at the same time. Call One-by-One – Rings each person in the order they’re listed. Enable the desired Call Settings. Screen Calls – Announces the name of the Call Flow to your agents before they answer, and prompts them to press 1 to accept the call, or hang up to decline. Record Calls – Records all calls, and stores recordings on the Call Recordings page on your account. Choose a Caller ID to display to the agent. Show Caller’s Number – Displays the caller’s phone number to the agent. Show My Number – Displays the Telzio phone number the caller has dialed to the agent. Select a genre of Hold Music for your callers to enjoy while waiting to be connected. Press the play button to preview the music. Select a Hold Message Voice to announce a message you can enter in the next section. Type in a Hold Message you want callers to hear before they start hearing the Hold Music. Click Add Destination to list the Users where you want calls forwarded. 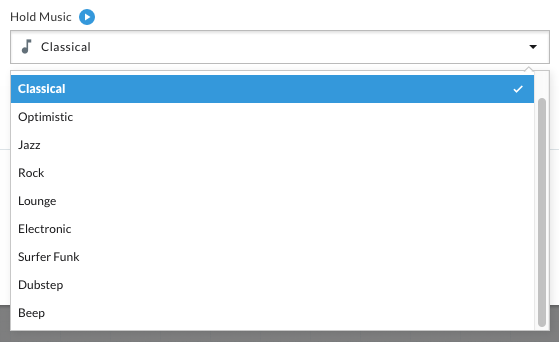 Select the User from the drop down list under Forward To. Select a Time Out period. Click Add Destination again and repeat these steps to add more Users. Click the X button to remove the User from the list. When you’ve finished configuring your settings, click Update. If none of the Users in the list is available, you can route calls to a Voicemail, or other Action. In the Call Flow view, click Add Action to insert a Voicemail Action. 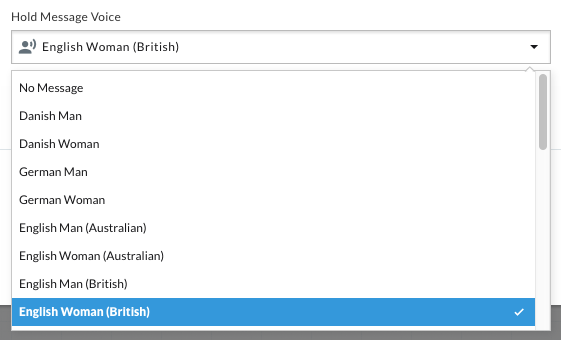 Select Voicemail to open and edit its settings. Record a custom greeting, or use the default greeting provided. You can add non-Telzio numbers such as mobile and landline numbers as a backup in case your employees don’t have internet connectivity. If your Call Distribution is set to Call One-by-One, you can add the number to the end of list as the last attempt. If your Call Distribution is set to Call All, you can add another Forward Call Action directly after the existing one. Once the call has attempted the first set of instructions, it will move onto the next Action, where you can list your backup numbers. If there’s still no answer, you can then route calls to Voicemail as the last Action in the Call Flow. It’s important to enable Call Screening in the backup Forward Call Action so the call does not connect to the voicemail of the non-Telzio number. Please note that forwarding to non-Telzio numbers counts as both inbound and outbound minutes towards your plan for the duration of the call (inbound minute to the Telzio number + outbound minute to the non-Telzio number).